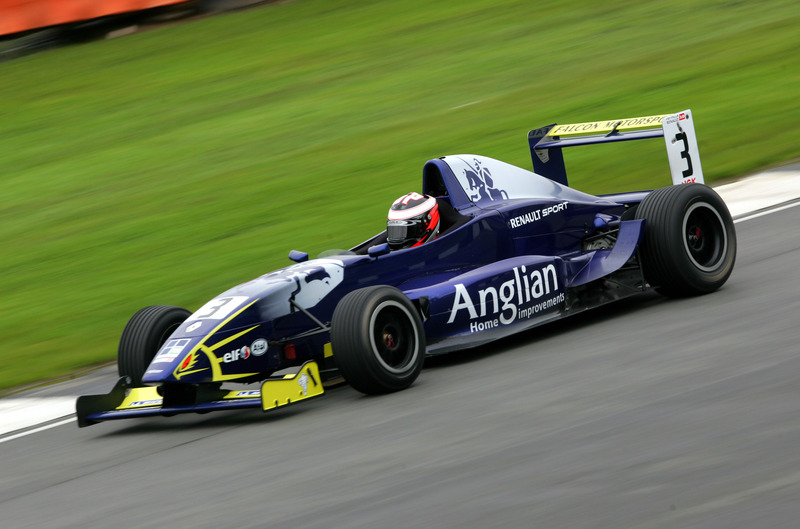 “It’s the final round of the Formula Renault BARC championship at Thruxton this weekend. Once again it’s a new track for me and this time there’s a bit of a problem – we are not allowed to test at Thruxton before the race weekend because of noise restrictions in the area, so the first time I take to the track will be for qualifying on Sunday. Wish me luck! The lack of testing isn’t the only difference at Thruxton. The other meetings this season, at Donington, Brands Hatch and Rockingham, have been held over three days with testing on Friday, qualifying on Saturday and two races on Sunday. At Thruxton everything happens on the Sunday, with just one qualifying session and two races. Your quickest time in qualifying will determine where you start in race one and you second fastest time will decide your grid position for race two. I’m not sure why it’s all crammed into one day, but there you go. Fortunately, we have been able to arrange a session on a simulator with a team based in Norfolk this week. I’ve never been on one before but I’m told it’s the next best thing to actually being on track. Anglian Home Improvementsis formerly known as Anglian Windows. Supporting people’s development since 1966.